Discover why Edraw is the simplest and easiest, yet most powerful fishbone diagram maker: Download it Now. 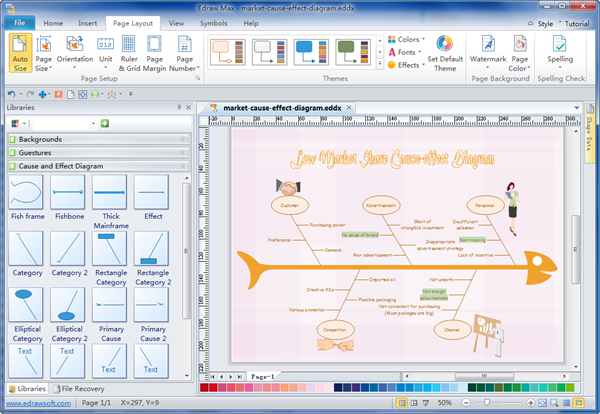 Edraw fishbone diagram maker is specially tailored for the creation of professional and presentation-quality fishbone diagrams from templates. 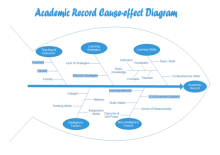 It only takes a few minutes to build an attractive infographic fishbone diagram. The interface is super user-friendly so that anyone can master the software quickly, without learning curve and no drawing skill required. The full color, SVG shapes and vivid clipart, are all provided for an incredible, immersive visual experience. Simply drag and drop symbols, apply built-in designed themes, and automatically share your finished fishbone diagrams into a presentation or PDF by only one click. 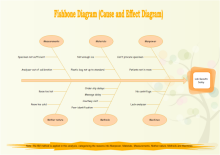 Another fishbone diagram about the causes of lab result delay. 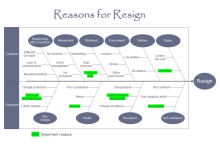 The reasons are categorized in the 6M method. You can download and use it directly.